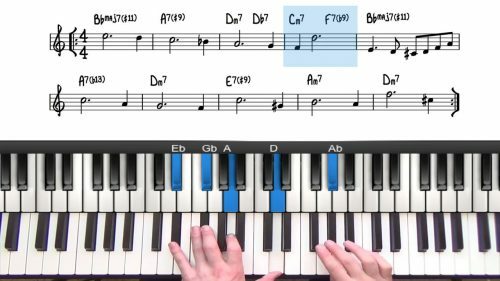 The first jazz standard lesson in this course is "Corcovado" written by the great Antonio Carlos Jobim and lyrics by Vinicius de Moraes. "Corcovado" is the name of the mountain in Rio de Janiero with the statue of Christ on top. The statue sits so high above the city that you can see it from all around. One of the lyrics reads: "you can see the Corcovado from the window of a very quiet place". If you look through the RealBooks you will find many different sets of changes. The chords that we will be using for this arrangement are the original changes played by Jobim himself. The melody is often interpreted by the performer, and you have the creative freedom to phrase the melody as you like. There are subtle inner voices within the harmony that can be easily missed. 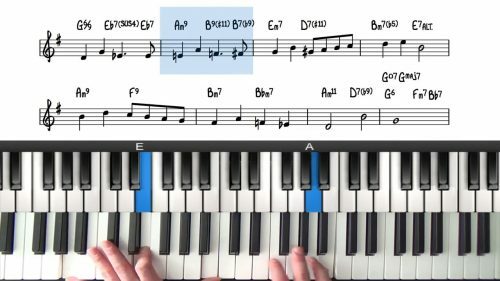 We touch upon these voices in this lesson and demonstrate how to accentuate them in your voicings. 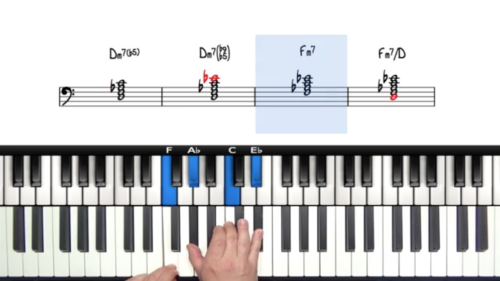 The next lesson in this course is a detailed study of inner voice movement over this tune. It's a good exercise to listen to many different vocal versions, and emulate the phrasing of singers. Pay attention to the subtle inner voices moving within the chord changes. Moving from the minor 7th to minor 6th is a beautiful inner voice to accentuate throughout the form.